We have yet to find an appliance whose failure so often coincided with our customers’ camping schedule. Without fail, we receive phone calls the Friday afternoon of long weekends from desperate customers inquiring about our service schedule for that day. They inform me that they are about to leave for the weekend and sadly their refrigerator will not cool. Some of this concern is just inexperienced campers expecting their fridge to react in the same way as their household refrigerator (see our What’s an RV Style Refrigerator section below), but for others there are more serious problems at work. What is an RV Style Refrigerator? The most common manufacturers of RV style refrigerators are Dometic and Norcold, although some older style fridges go by names like Instamatic, Tedco, Elixer, Etc. Almost all refrigerators being installed in RVs today were made by one of these two companies. Your RV style refrigerator does not operate the same way as the fridge in your home. To begin with, these appliances often operate on propane (LP gas) and some form of electricity (either 120V or 12V or both depending on the model and size your fridge). These fridges contain ammonia based cooling units and are called “absorption style” refrigerators. 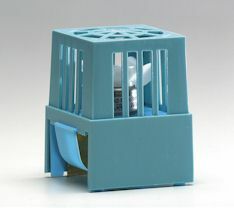 This means that unlike your house refrigerator, they pull warm air out of the fridge box, instead of pumping cold air in. Because of their unique operating style there are special concerns and maintenance requirements for these types of refrigerators. Your RV style refrigerator will not make any noise on start-up. This is not a cause for concern. RV style fridges are virtually silent when operating correctly. Also, your RV fridge will not begin to show signs of cooling immediately, it may take your fridge up to 12 hours to fully cool (and it is recommended that you wait the full 12 hours before adding any food). The most common mistake made by campers anxious that their fridge is not operating correctly, is to repeatedly check it. Absorption style refrigerators are particularly sensitive to temperature changes. By opening your refrigerator door you may actually be slowing down the cooling process. If you want your fridge to cool quicker try running it on propane. It has been our experience that RV fridges cool faster on gas than they do on electric. Don’t put food in your refrigerator while it’s still hot. Let food cool to room temperature before putting it in the fridge. 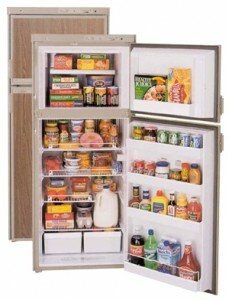 Keep your refrigerator door closed as much as possible to avoid temperature fluctuations. RV style refrigerators are not self defrosting, if you notice an excessive amount of frost on the aluminum fins it is time to defrost it. In the past RV refrigerators were very sensitive to being level, if they weren’t level they would often not operate. This is not the case today. New RV fridges are less sensitive than their older counterparts in terms of operating off level. For instance, Norcold tells us that their fridges are made to “operate within 3 degrees off level side-to-side and 6 degrees off level front-to-back”. However, this does not mean you can expect your fridge to operate while parked on a hill. Level your RV normally. If all looks level your fridge should be ok to operate. If you want to be sure, or if you have an older fridge, you can purchase a little fridge level specially designed for this task. As previously stated, your RV fridge is extremely sensitive to temperature changes. That means KEEP THE DOOR CLOSED as much as possible. Your fridge will be better able to maintain its temperature. Because of your fridges sensitivity to temperature changes, you cannot expect your fridge to operate as well when the outdoor temperature skyrockets. During heat waves your fridge will not cool as well as it did in the spring. Although we have no real control over the outdoor temperature, you can help the air circulation by adding a coil mounted refrigerator fan. These fans can be mounted at the top or bottom of your cooling unit (depending on the style you have purchased) and pull the air in through your vent and direct it up toward your roof vent, allowing the air to pass over your cooling unit. The more circulating air your fridge has the better it will operate. Furthermore, we find that if your fridge is operating more efficiently, it tends to last longer! 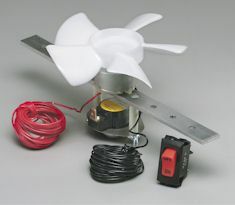 Similarly, an interior mounted refrigerator fan can also help your fridge run more efficiently. Along the same lines, try to avoid parking your RV in places where your fridge vents will be exposed to direct sunlight. And NEVER do anything to block the empty space behind your refrigerator. This space is required to give your fridge the adequate amount of air flow needed to operate correctly. Make sure both vents are clear of dirt and other obstructions. 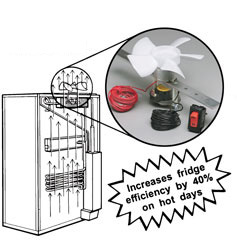 Dometic recommends that you have your refrigerator serviced once a year. In fact, the 3-year Dometic warranty stipulates that you show proof of seasonal maintenance to maintain your warranty. Besides your warranty, this yearly check-up is particularly important for the safe and efficient LP gas operation of your fridge. Because your fridge is a gas-burning appliance, the burner assembly tends to get dirty. It is important to have the burner cleaned by a LP licensed RV technician. What If My Fridge Just Won’t Cool? If your fridge won’t cool at all and you have made sure to leave it on long enough to get down to temperature (approximately 8 – 12 hours). Try running your refrigerator on the alternative energy source. For example, if your fridge will not operate correctly on electricity (12V or 120V) try running it on propane. This process rules out some electrical malfunctions, for instance a blown electrical element. If your fridge will not cool on any source, it is time to have it examined by a professional RV technician. * Because it takes so long to test your fridge make sure it is working correctly at least one week before you wish to use it. Often when a refrigerator will not cool on both LP gas and electric, it means your cooling unit is no longer operating correctly. If this is the problem, you have a few choices. Replace the Cooling Unit: Your service centre may recommend replacing the cooling unit. This means that the cooling unit, located on the back of your refrigerator, will be removed and a new one will be installed in its place. This should only be an option for you if your refrigerator is in excellent condition and does not have any discontinued parts. Although your new cooling unit will come with a warranty it is fairly labour intensive to do this. Often the difference in total price between replacing the cooling unit and replacing the whole fridge is negligible. Replacing the Fridge: Of course replacing the fridge is always an option. Both Norcold and Dometic manufacture replacement refrigerators designed to fit in the hole left by your old refrigerator. The new refrigerator is just that new, and therefore, comes with all the perks of a new refrigerator, including a 3-year warranty for Dometic fridges. 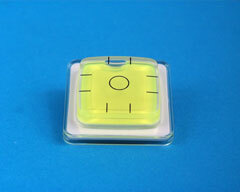 This is unusually the best option for those customers who are travelling. If you run into problems with your fridge down the road, any factory authorized service centre can assist you (and there are service centres all over North America). This option is also the most costly. However, if you examine the price difference between these three choices our customers tend to find this option to have the greatest long-term value. Well I hope this has shed some light on RV Refrigeration. As always, if you have any other questions or concerns, I invite you to contact our service centre. Thanks!